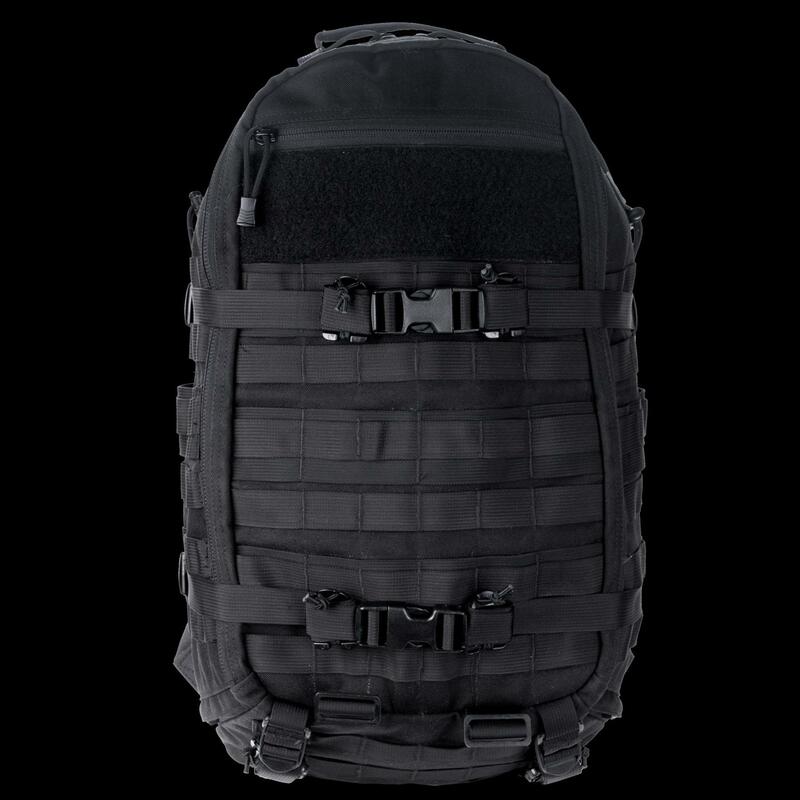 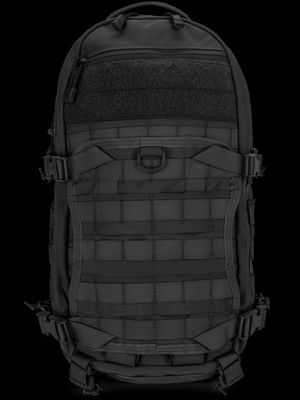 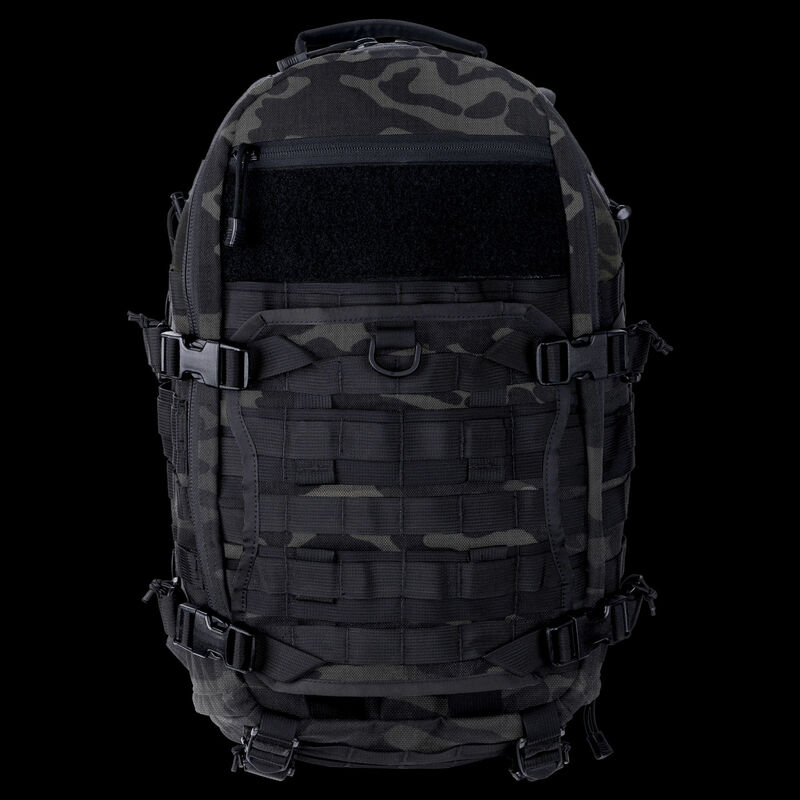 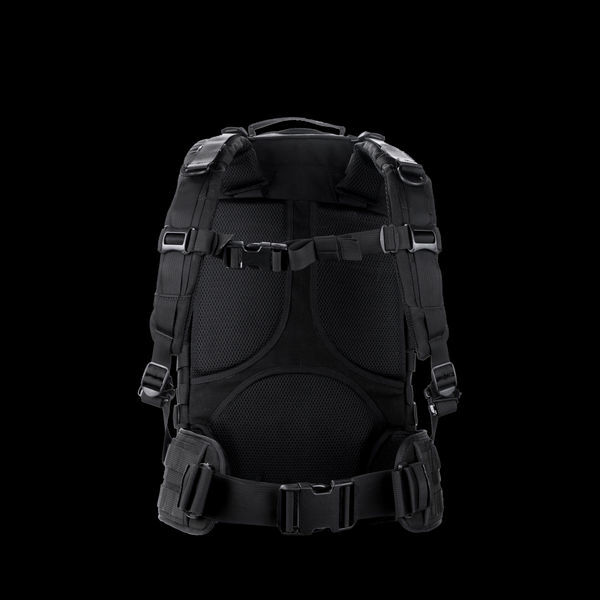 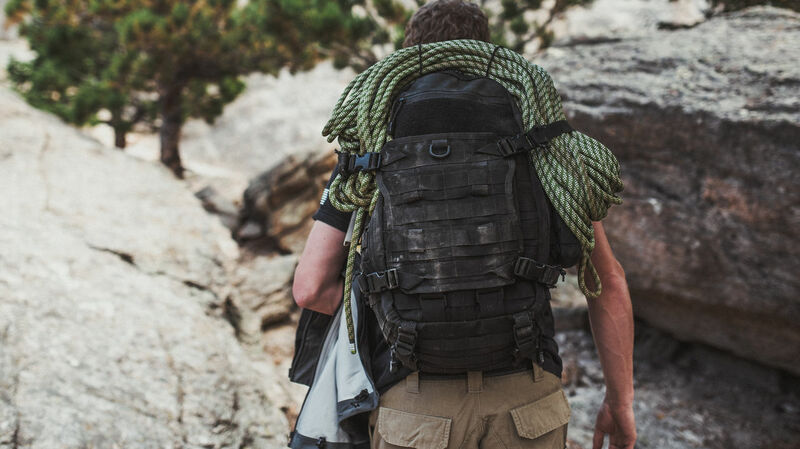 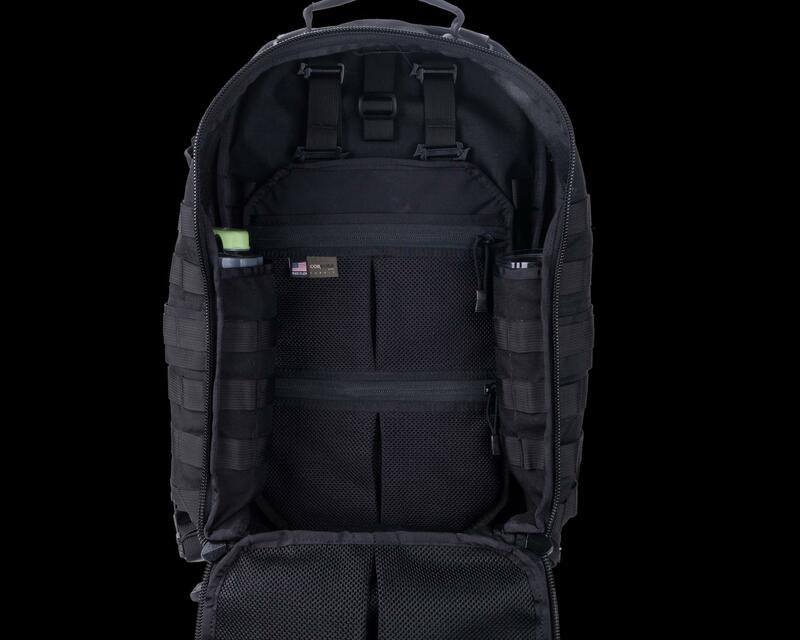 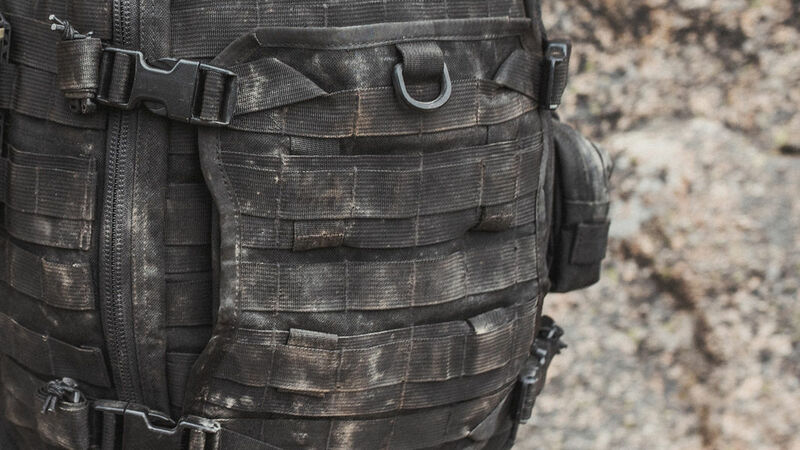 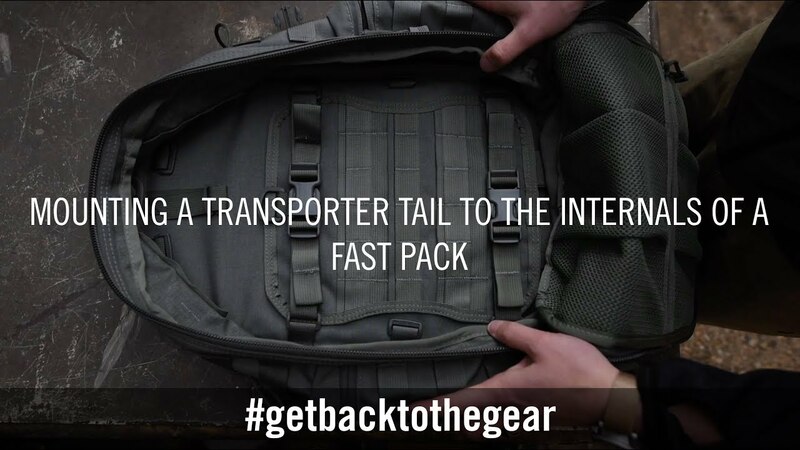 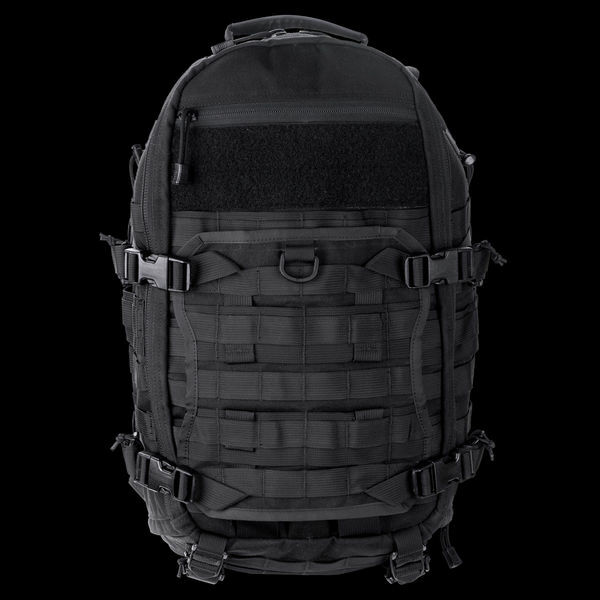 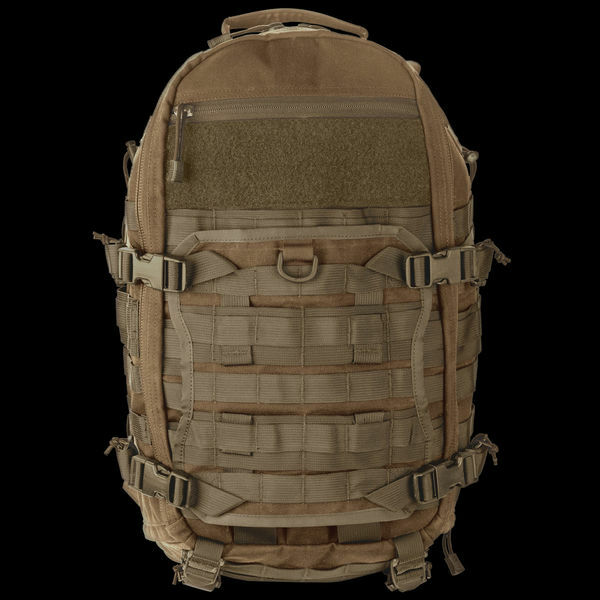 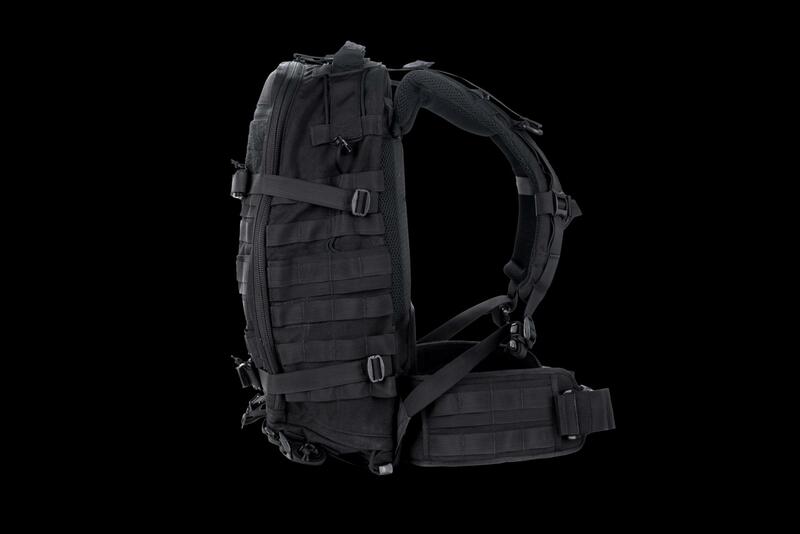 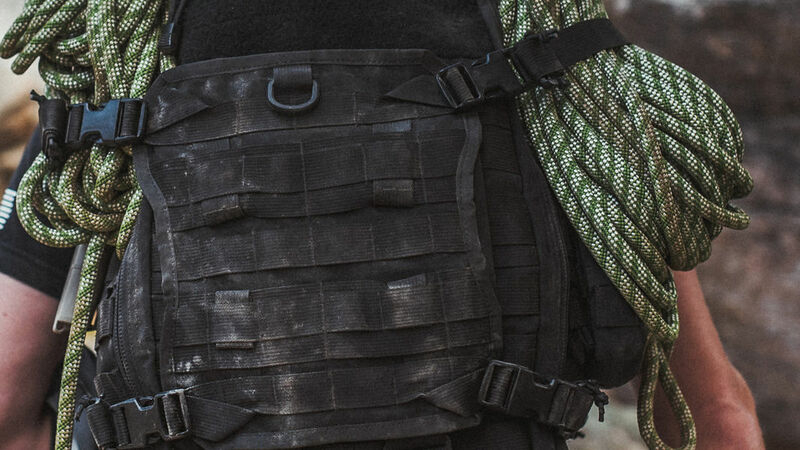 Our latest generation FAST Pack EDC has been re-engineered from the ground up to rapidly adapt to changing mission profiles and carry you through the challenges ahead. 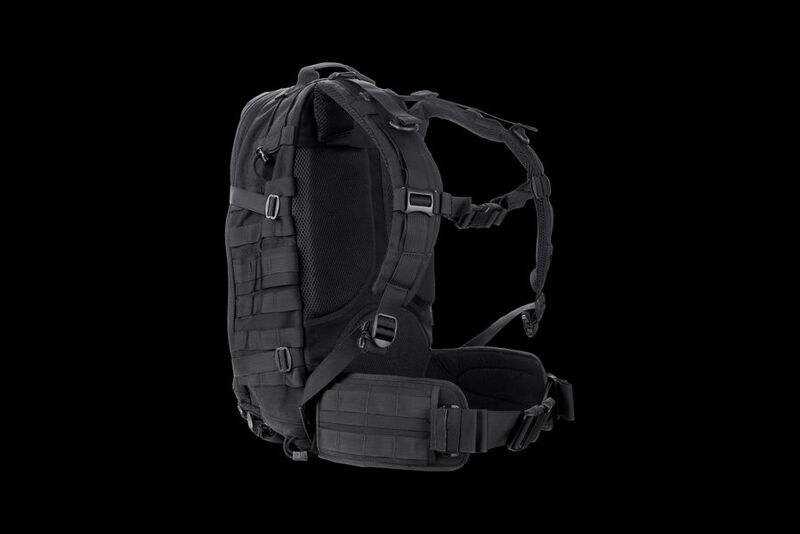 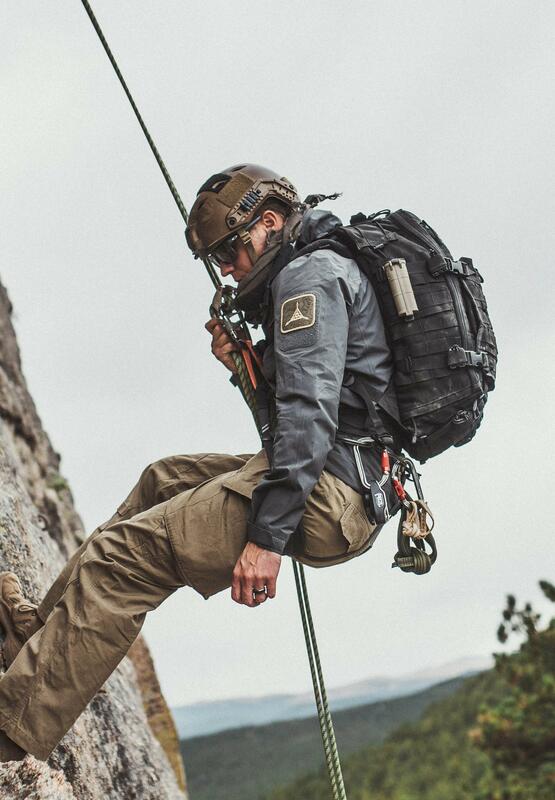 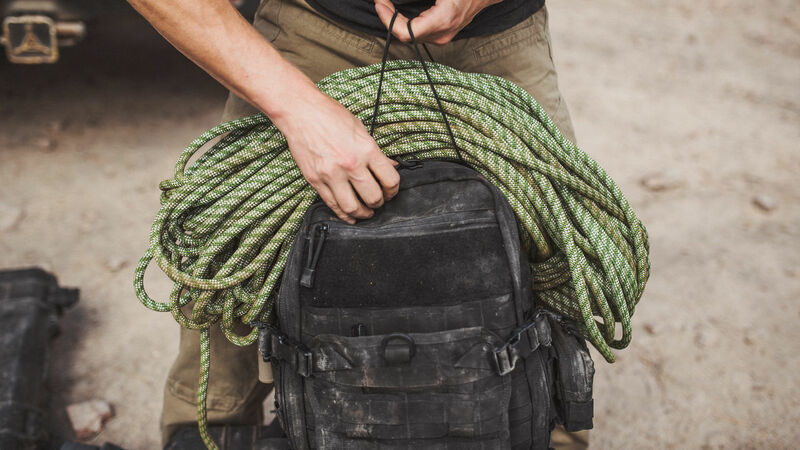 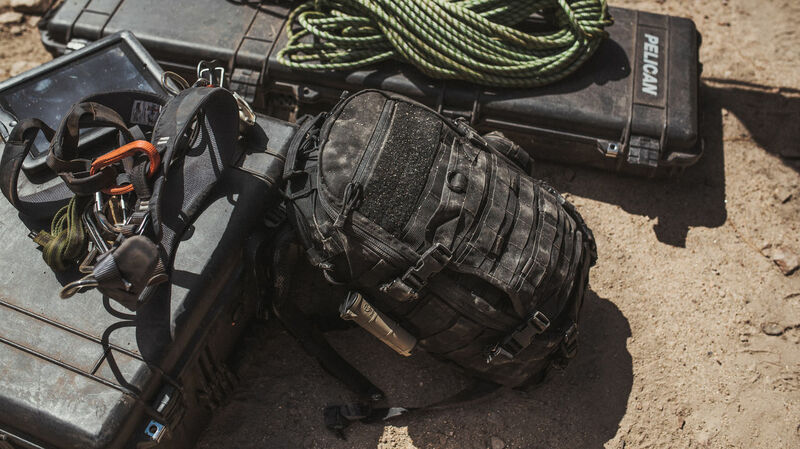 Integrated storage solutions combined with a full-zip, clamshell opening allows you to access and adapt your loadout as necessary, while re-engineered suspension keeps you focused on the task at hand. 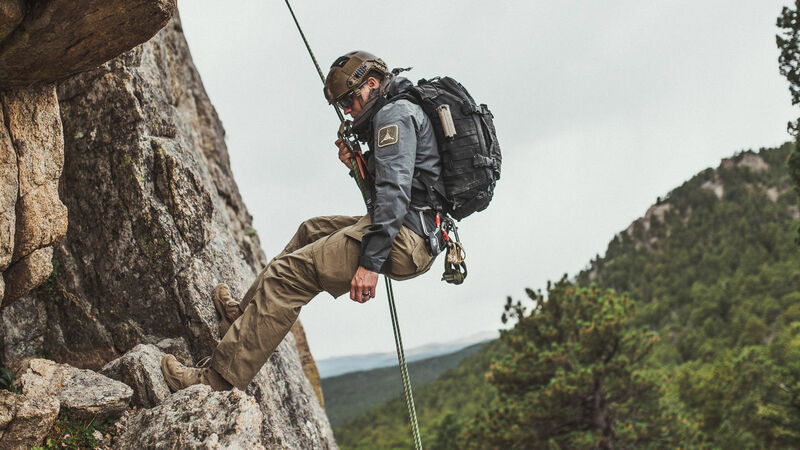 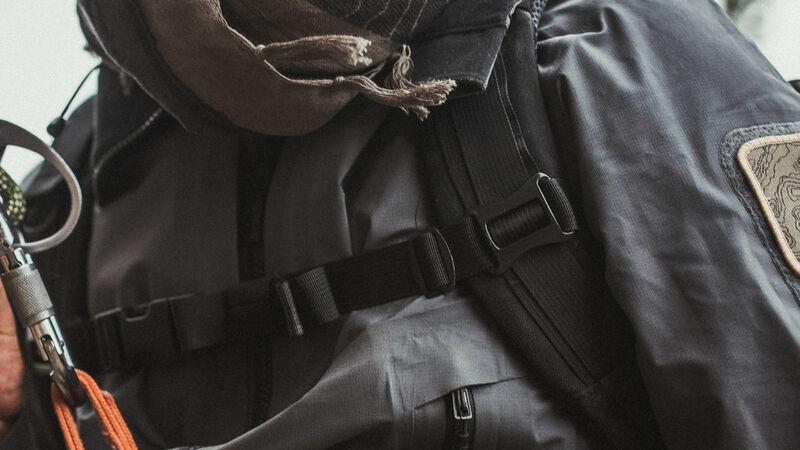 PALS webbing and internal anchor points let you reconfigure the EDC to your exact requirements using our Control Panel, Transporter Tail, or range of pouches. 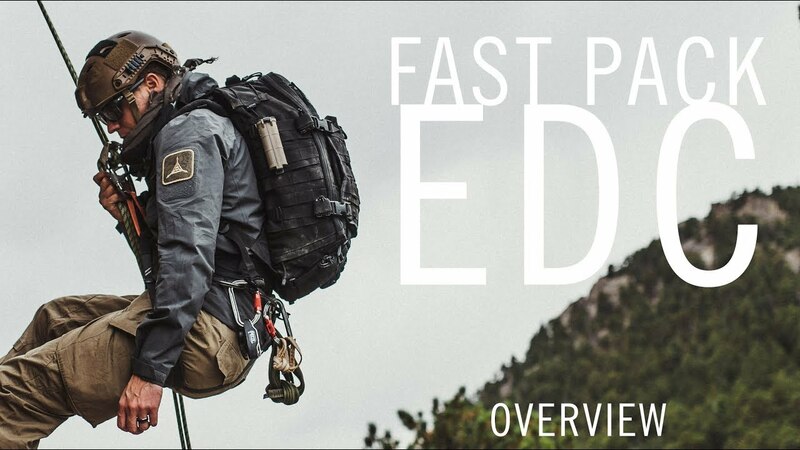 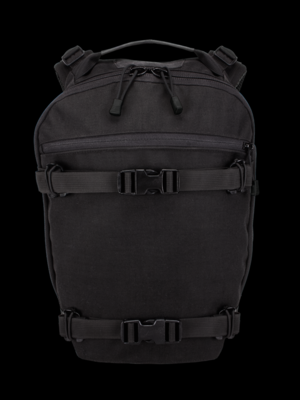 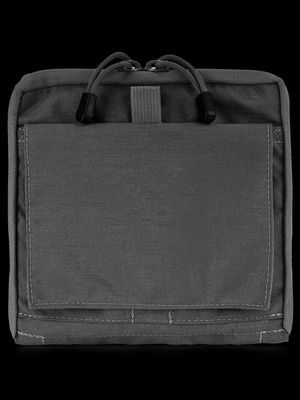 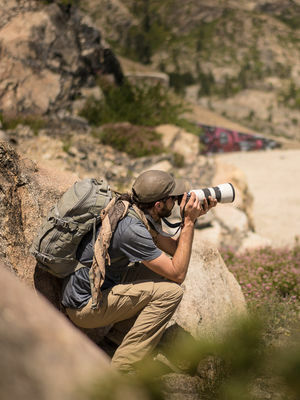 As the big brother to our award-winning FAST Pack Litespeed, the EDC provides more interior storage space while maintaining an agile profile. 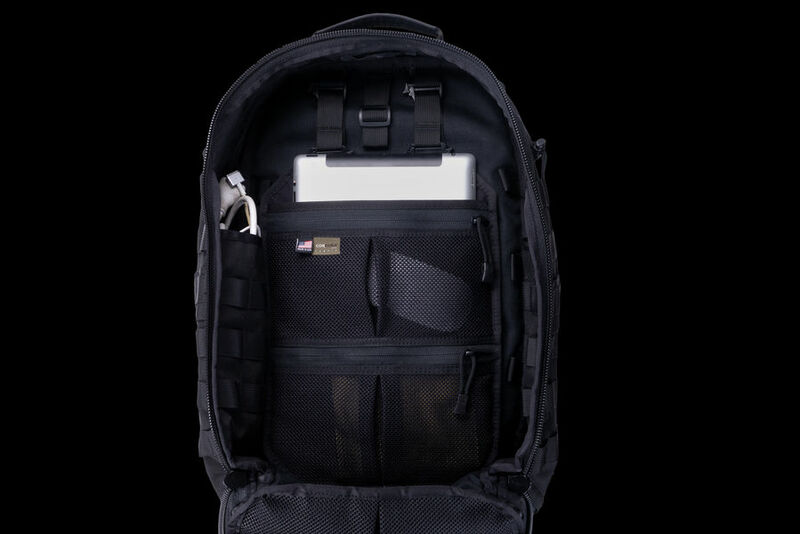 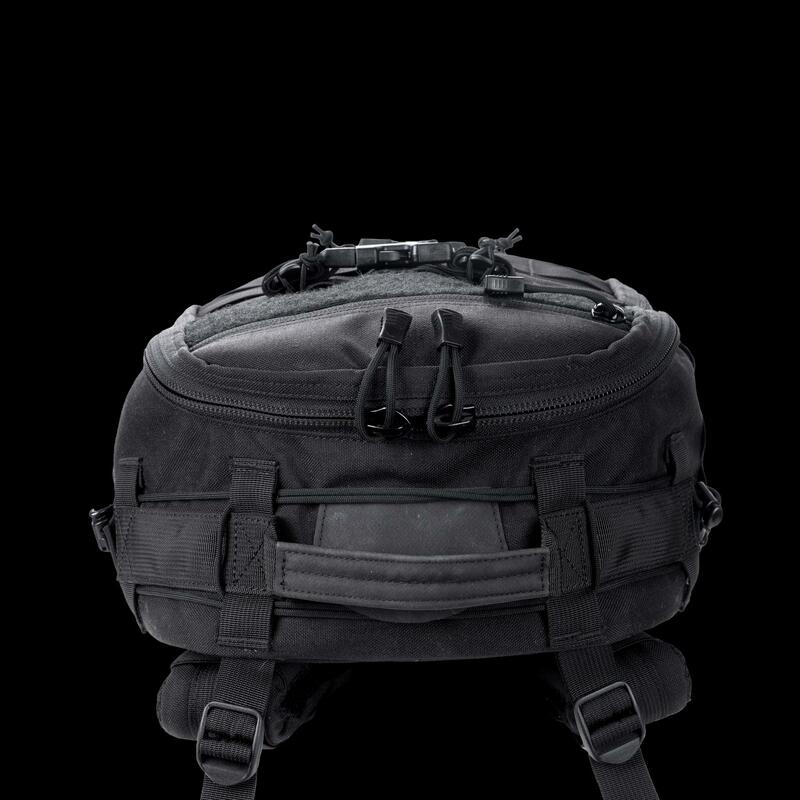 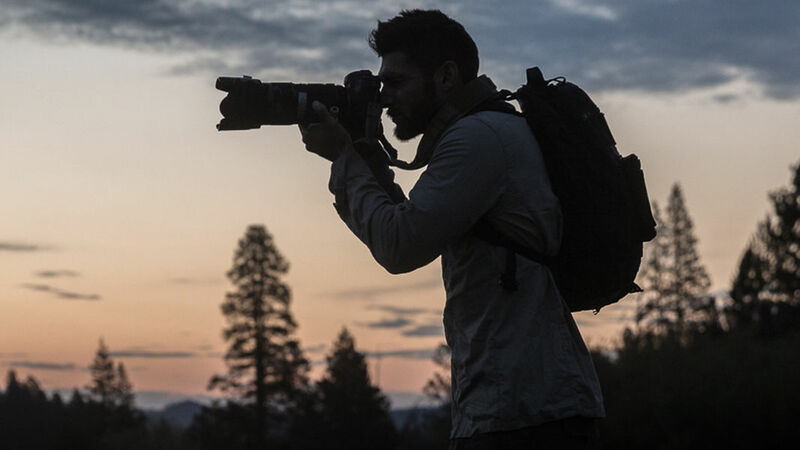 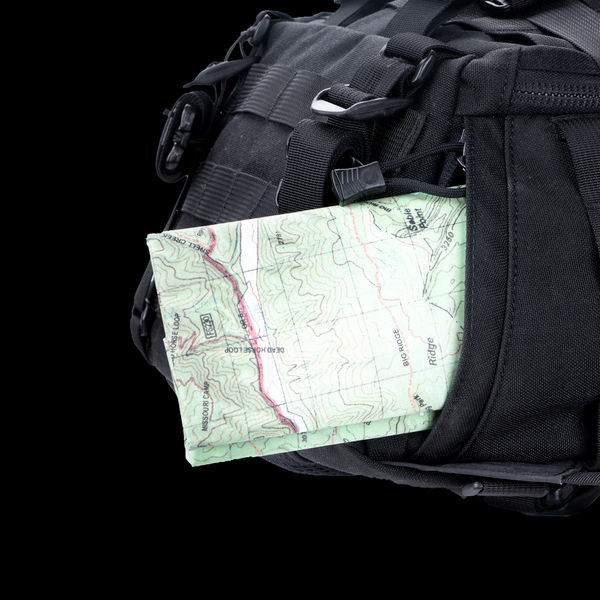 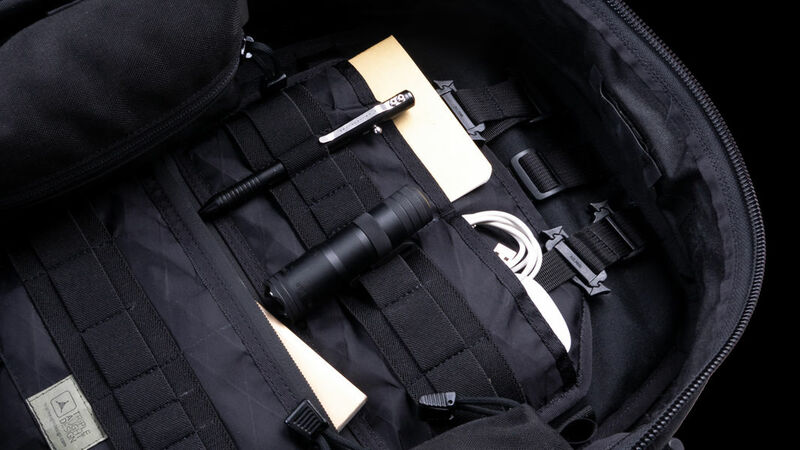 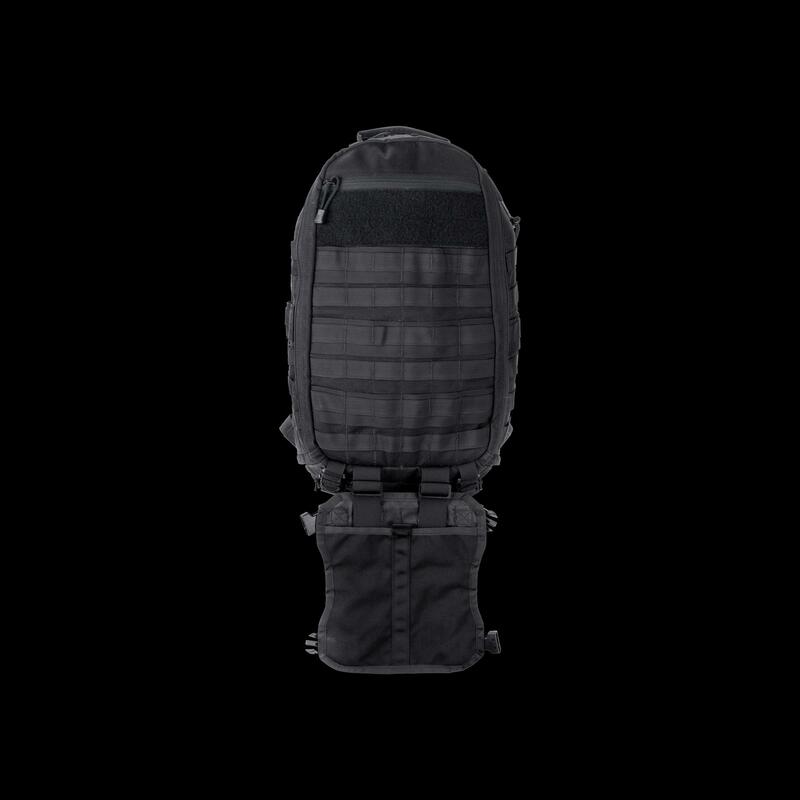 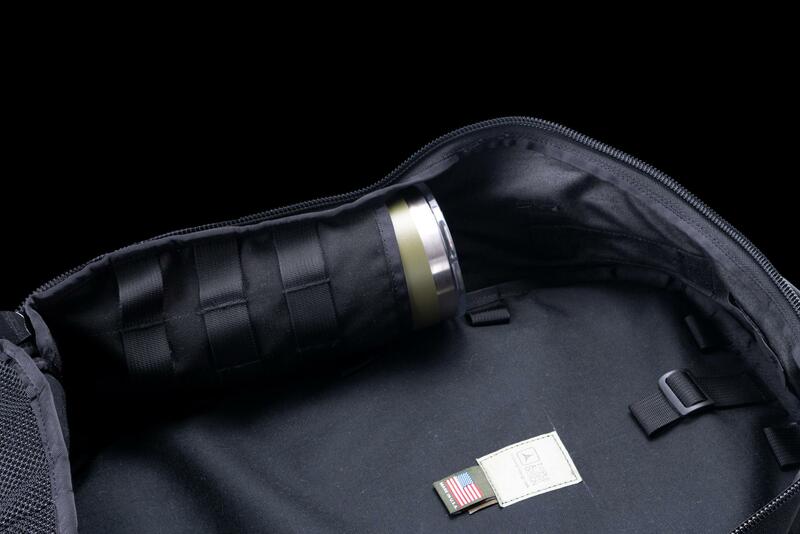 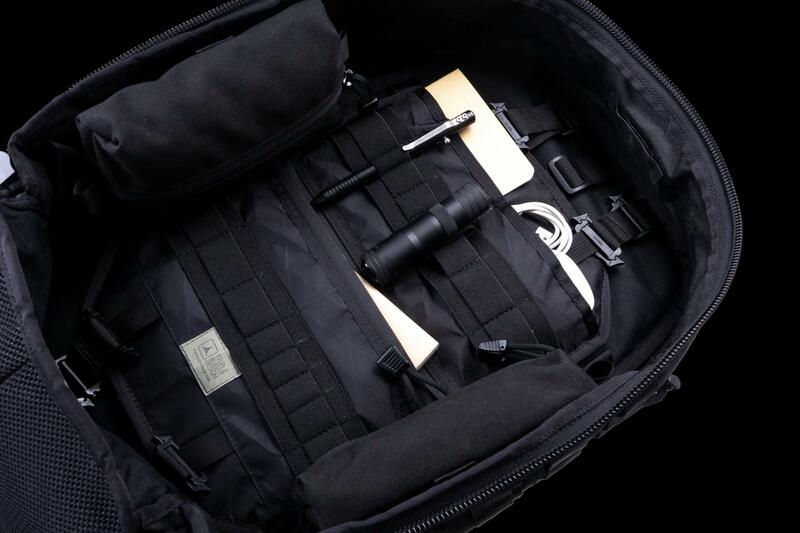 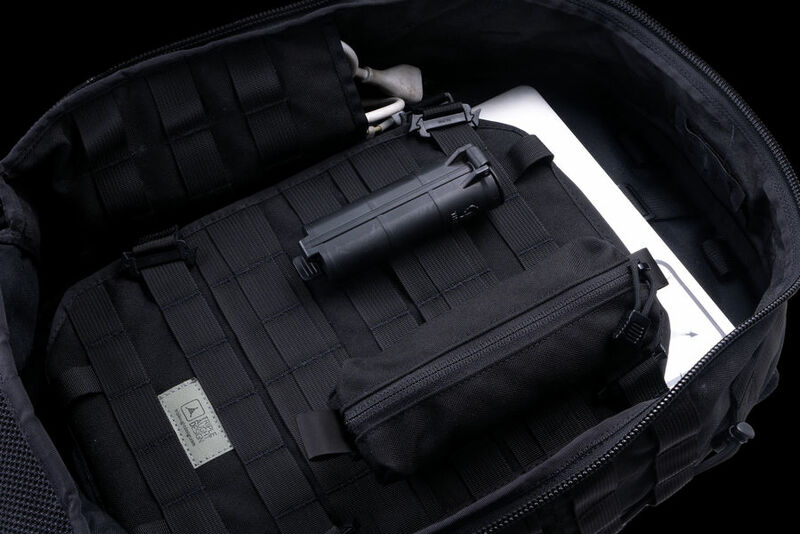 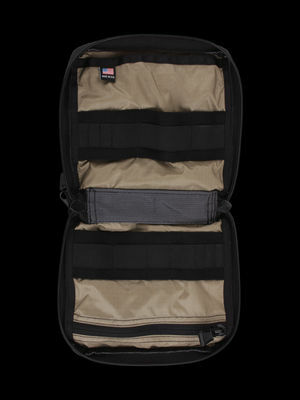 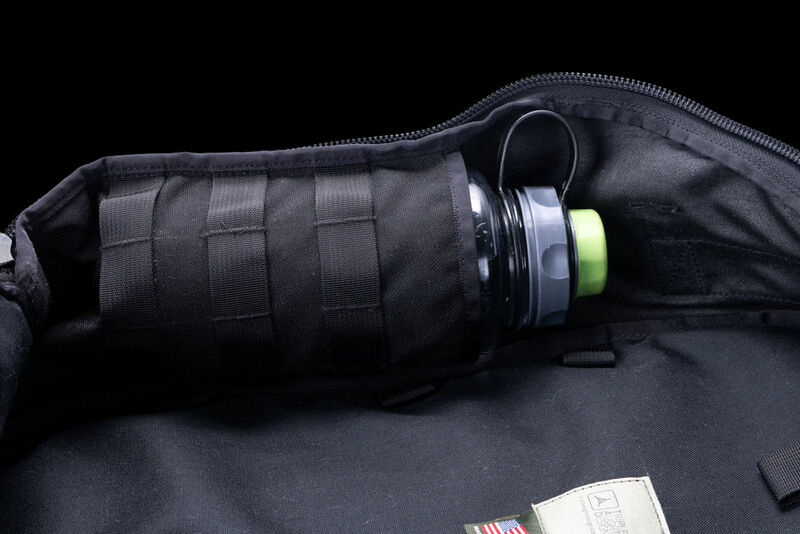 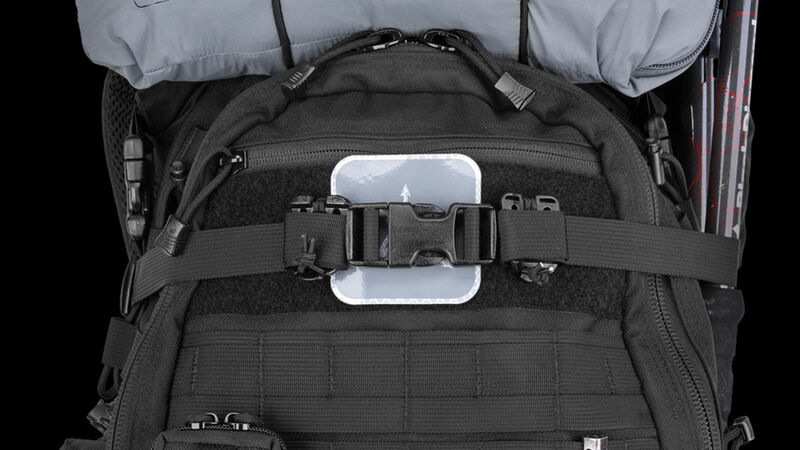 Integrated storage pockets along the sides provide ready access to critical gear and concealed ambidextrous Flashlight Caves give you immediate, dummy-corded access to key items without removing your pack. 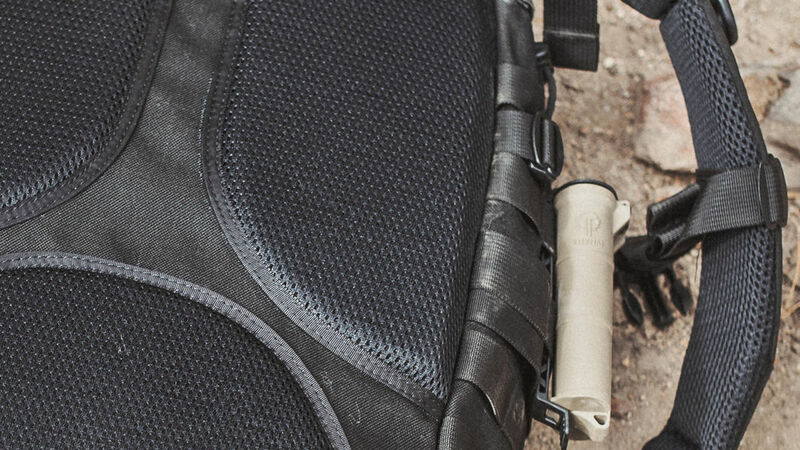 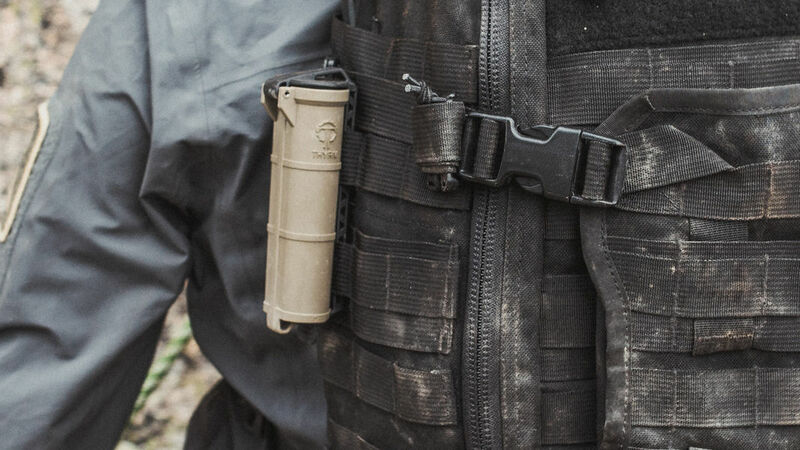 Two-inch webbing underneath portions of the PALS webbing lets you attach wider items, such as Tek-Lok™ equipped sheaths and holsters. 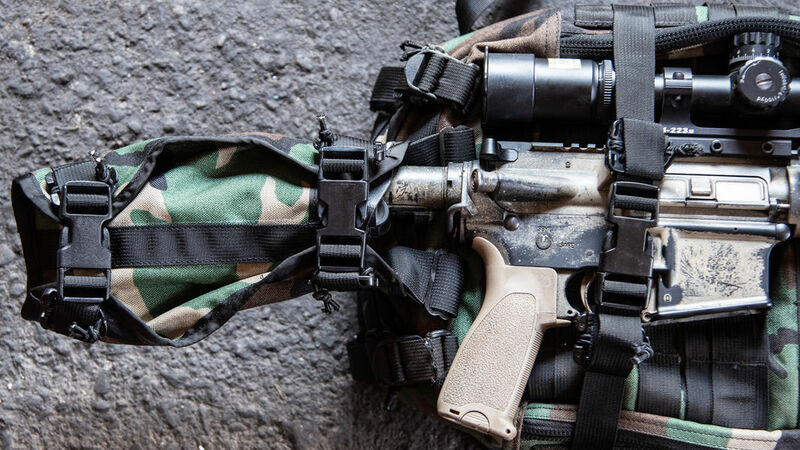 Our signature Transport Tail can be used to hold odd-sized items like a helmet, or released into the down position to hold linear items like rifles. 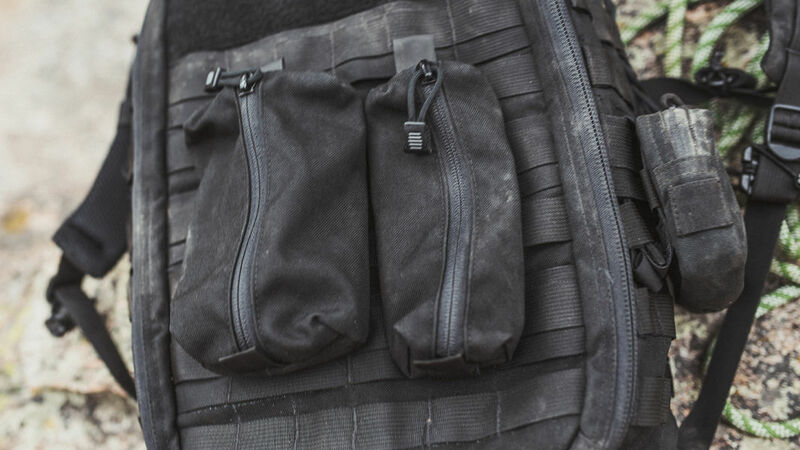 Made with a unique high pressure nitrogen gas solution process, aerated closed cell foam padding aids in superior shock protection and comfort. 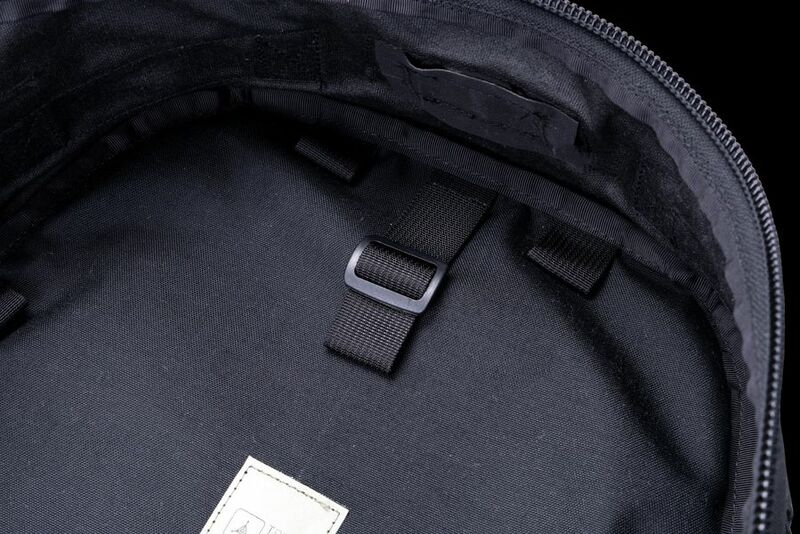 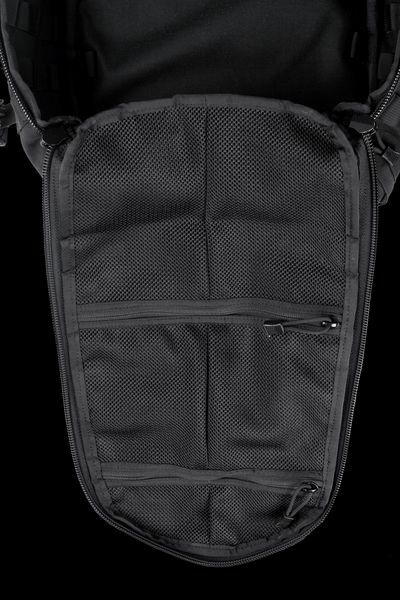 Polyester and nylon mesh aid in ventilation on the shoulder straps and back panel of the pack. 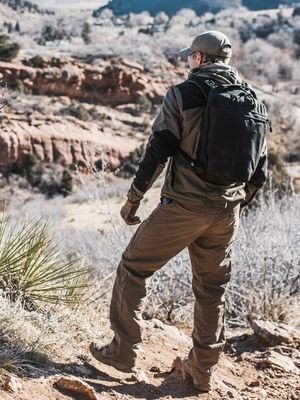 The mesh also creates a softer surface to decrease wear and tear on your apparel. 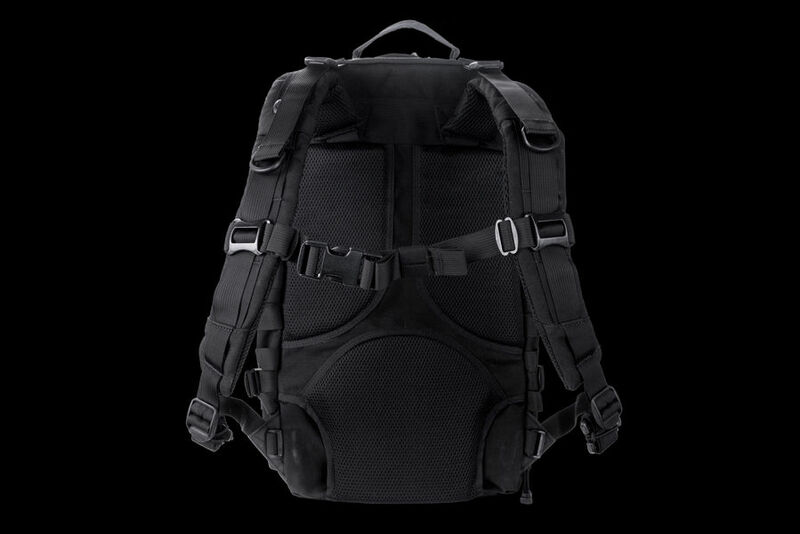 Engineered suspension geometry and a HDPE framesheet enable the pack to ride higher on your back. 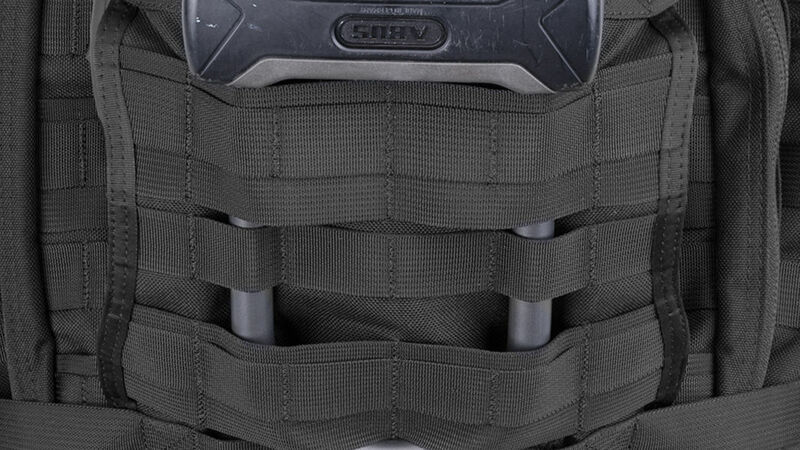 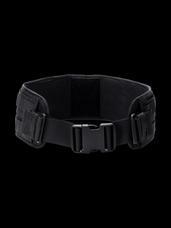 Load lifters allow the load to be pulled into the body for maximum comfort. 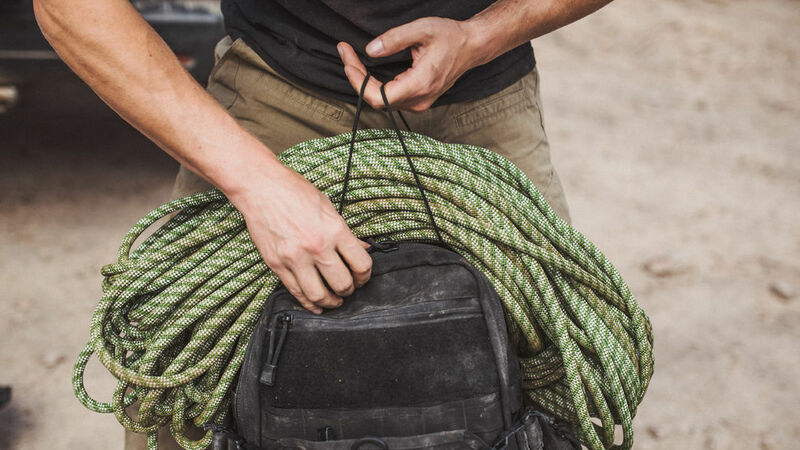 Anchor points on the exterior and interior of the pack enable you to continually adapt and evolve the pack configuration to your changing needs. 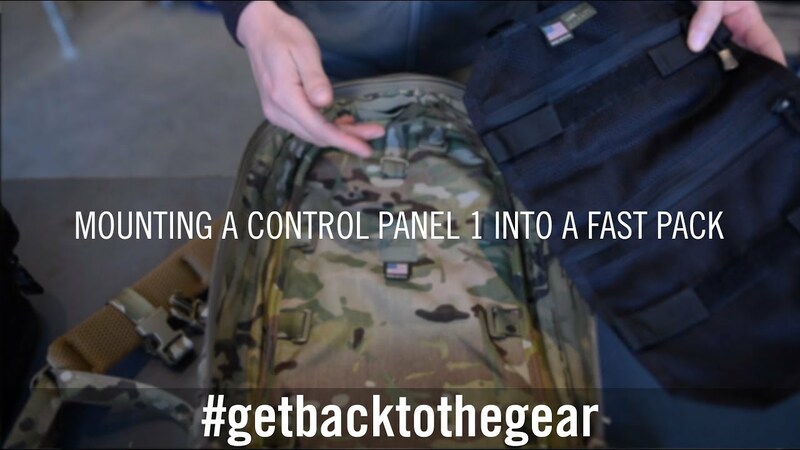 Use our Control Panel 1 to create mission-specific loadouts and interchange them easily, or attach our FAST Transporter Tail internally to secure heavy items such as water bladders or ammunition against the frame for support.